It’s one thing to visit a community to explore the tourist venues and the nature that surrounds it. It’s a whole other experience to visit a community when it is having one of its festivals! Festivals are one of the best ways to experience the culture and local flavors that a community has to offer. 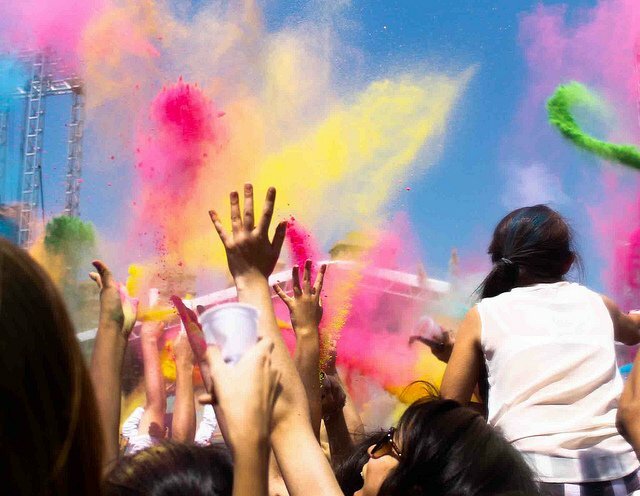 If you created a bucket list of festivals to experience, these should all be on it! 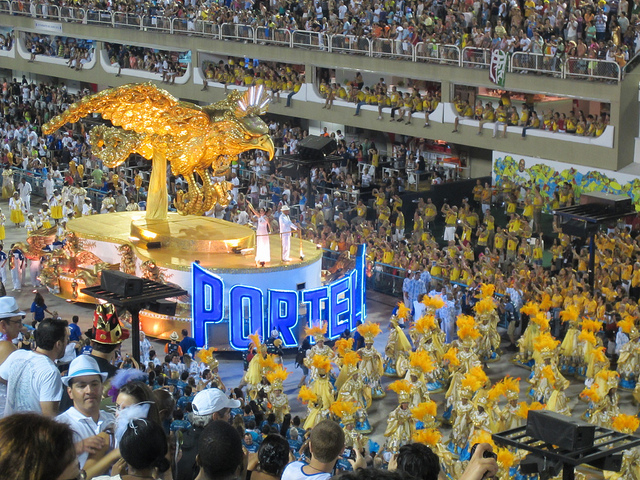 To be fair, Carnival is celebrated throughout Brazil, but the most popular by far is the Carnival of Rio de Janeiro. Nearly 500k people visit this Carnival every year and it is the benchmark by which many other worldwide festivals are judged! It’s a 5 day celebration that begins 40 days before Easter, culminating in Fat Tuesday before the Lent period begins on Ash Wednesday. The only way to describe Carnival is “euphoria.” Singing, dancing, and partying bring out the fun that people need just as Spring is about to begin, allowing everyone to display their true heart and soul in a joyous atmosphere. Colorful parades and marches can be found every day and you can party every night away with your own preferred festive garb! You’ll even find many people in drag during this euphoric festival! No one really knows how the Battle of the Oranges began. All people really know is that orange is traditionally the color of Protestantism and it is believed that at some point, to protest something, someone threw some oranges at the Italian royalty. A popular account of the festivals origins tells the story of a girl who decapitated a royal who tried to force himself upon her. Named Violetta, every year a young girl is chosen to play this role. 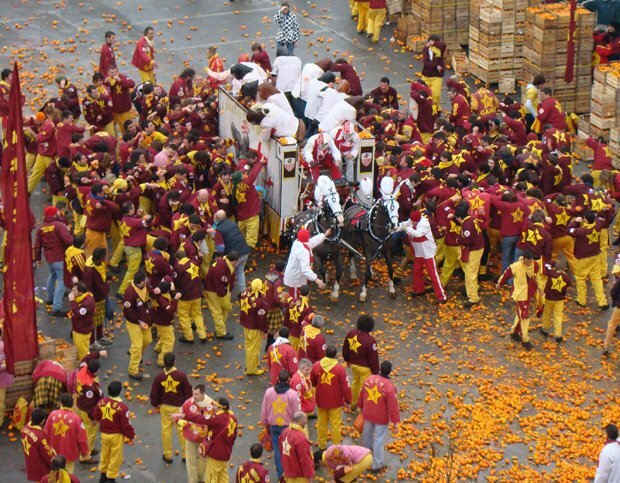 Unlike the tomato festivals of Europe, the Battle of the Oranges is more violent than you’d likely think, so being part of one of the nine combat teams may not be for you. The safest way to experience the festival is to hide behind the safety nets that are installed along the battle routes. You can stand in the battleground, but beware of large, rogue oranges! Who doesn’t know about Mardi Gras? 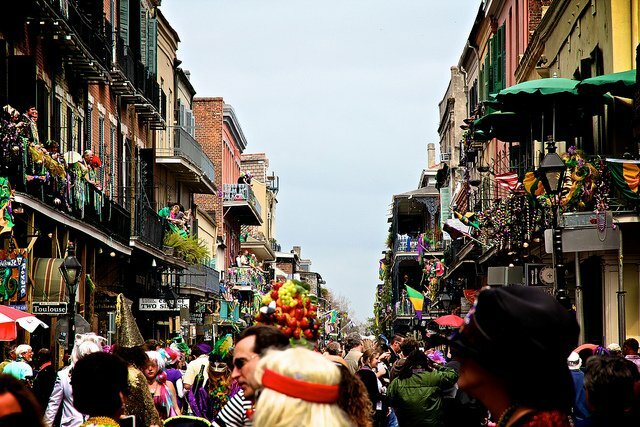 Festive costumes, tons of beads, and plenty of revelry mark the occasion where parades are thrown and social norms are thrown out the window. Similar to the Carnival celebrations of Brazil, Mardi Gras is a time to let loose and have fun. When experiencing Mardi Gras, don’t forget to load up on plenty of King Cakes! Coming in a wide variety of flavors, these cakes are a stuffed bread that is often sweet, but savory varieties are available as well. Put on your mask, gather some beads the old fashioned way, and have yourself a grand time before Ash Wednesday! Celebrating the triumph of good over evil, the Holi Festival in India is one of the most colorful festivals on the planet. Through the throwing of colors, usually derived by plants like turmeric but chalk is sometimes used today, religious and social barriers are discarded as everyone becomes equal through the color of love. The Holi Festival is celebrated around the world, but everyone should experience the Hindu foundations of this festival at least once in India. After the throwing of the colors, people will get cleaned up and then exchange sweets as they spend time with loved ones. One of the key components of love is forgiveness and that is emphasized in the Holi Festival as well. Generate harmony by offering someone a hug, wish them a “Happy Holi,” and you’ll have an incredible life experience! 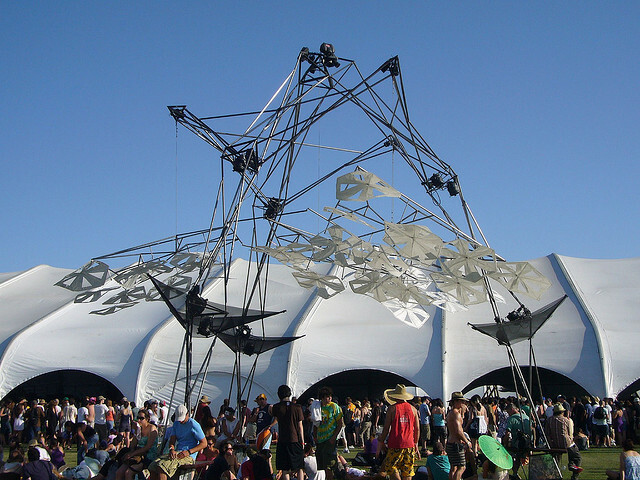 Combining art and music, Coachella attracts some big name artists while providing an incredible opportunity for some outdoor fun. Outkast and Arcade Fire headline the dozens of musical artists that are going to perform in the 2014 edition of Coachella to let you rock out with your bad self! Enjoy a dinner in the Rose Garden and don’t forget that you can camp on site! Don’t forget to explore the boutique to enjoy the works of many local artists. Used LP’s are available from the vinyl emporium so you can relive some of history’s greatest bands. Local chefs will also be serving up gourmet delicacies from the Terrace so that all of your senses get a workout! Plan ahead to attend Coachella as tickets sell quickly! Who doesn’t like spraying someone else with some cold water? It’s even more fun to get soaked on a hot day, and let’s face it – Thailand can offer some very hot days! 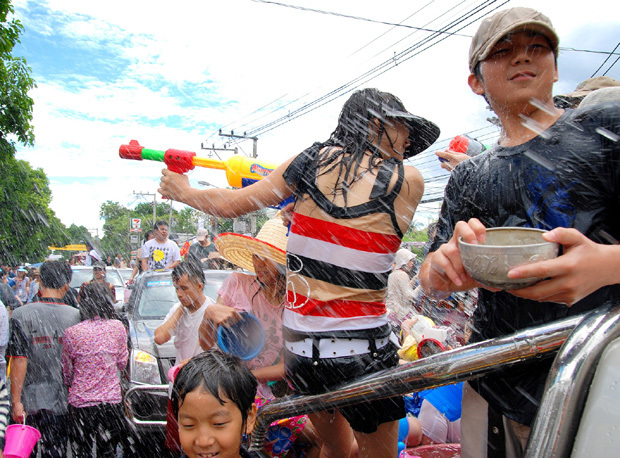 At the Songkran Water Festival, the celebration is in conjunction with the observation of the New Year on the calendars of Southern Asia. People will randomly spray others with water guns, and if you get covered in talc or chalk and water, don’t worry. You’ve just been blessed! Traditionally the throwing of water was meant to be a religious experience and there are many who follow the traditional components of this Festival with prayer and tithing. Beauty contests are often held as everyone assists everyone else in washing away all the bad that has happened to them in the previous year. With your adrenaline pumping, you hear the pounding footsteps of the mighty bulls behind you. People slightly panicked, yet also slightly enthralled, scramble down the streets to see how far they can get without having a bull give them the worst spanking of their lives! 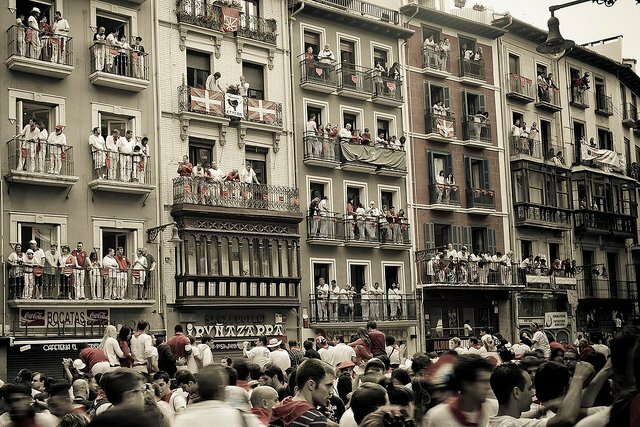 The San Fermin Festival was actually born from a genuine need: the bulls had to come from outside of the city into the bullring. The run usually takes about 4 minutes, but sometimes it can take as long as 10 if there is a stubborn bull in the mix! After the running of the bulls, don’t miss the tomato fight afterwards! 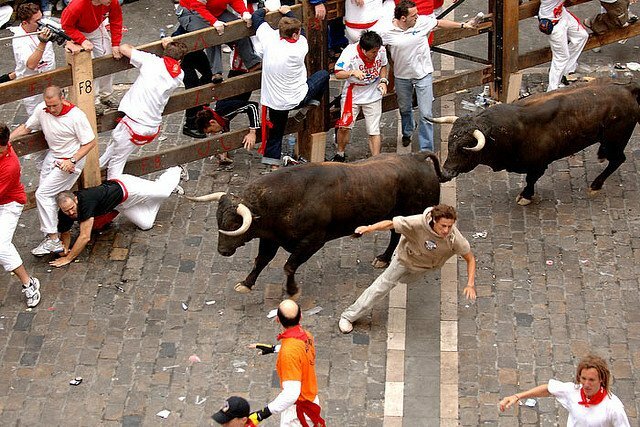 Those under the age of 18 are forbidden from running with the bulls. It requires cool nerves, fast reflexes, and you’ve got to be in at least somewhat good shape. 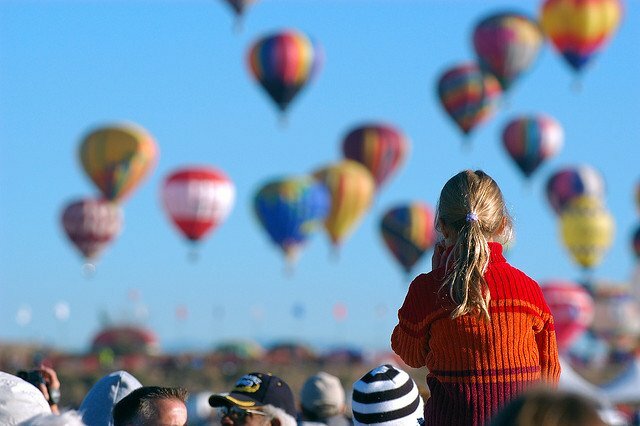 If not, then you’re recommended to be an observer, but that’s all right – this Festival is always an incredible sight! Boryeong mud is known for having many healing properties, but during the Boryeong Mud Festival, healing is discarded for having a lot of fun in the mud. Wrestling, swimming, and plenty of sliding can all be found in the mud as you let yourself get dirtier than you can ever remember being! After a long day of fun, don’t forget to have a relaxing mud massage before you lounge in the heated mud pool so that your muscles don’t get super sore from all the fun you’re having! There’s also a street parade that commemorates the mud every year and the party at the beach is often one of the highlights of the year! If you love mud, love getting dirty, or just want to have one of the best experiences in your life, then journey to South Korea for this incredible festival. If you’re particularly brave, try the Marine mud training course! 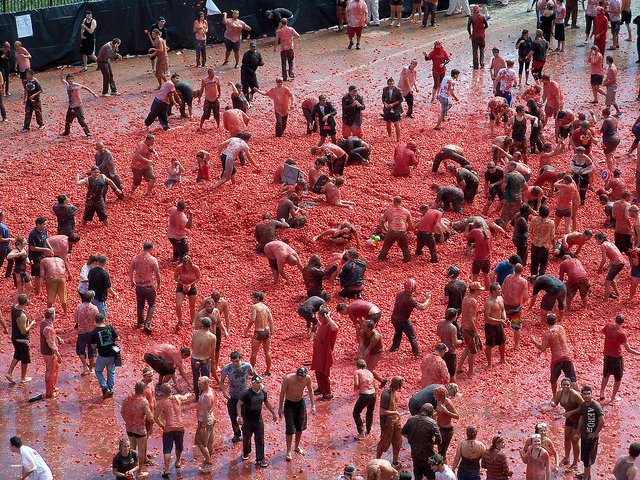 Often called the largest tomato fight in the world, La Tomatina is believed to have started around 1945 when some critters in the area were eating all the watermelon that the locals had gathered. People threw tomatoes at them to get away, then someone thought it would be funny to throw a tomato at their neighbor, and now everyone throws tomatoes at everyone else! The festival begins by having people try to climb up a greased pole that has a ham on top. When the shots ring out, the tomatoes begin to fly! A classic scene is to see a group of people in the back of a truck throwing out tomatoes like a human machine gun! Crowd sizes are now limited to 20,000 people and these tickets sell fast – if you’re planning on attending, reserve your trip well in advance. Hot air balloons are a classic part of American culture and during the summer months, many hot air balloons can be seen in the skies across the country. 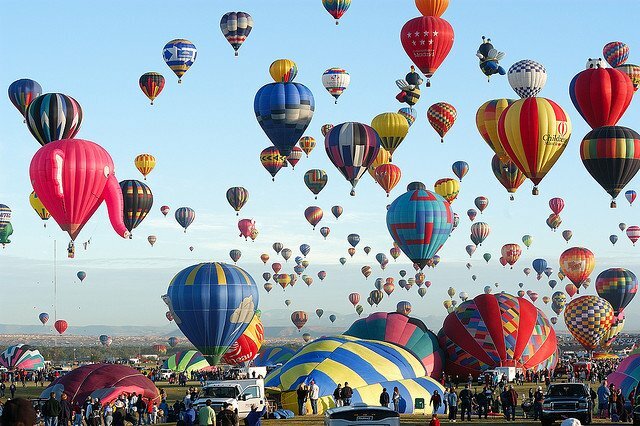 To celebrate these colorful balloons, the capital of New Mexico has the benchmark Fiesta that encourages people from around the world to experience the flight of a hot air balloon for themselves. Even if you just want to keep your feet firmly on the ground, the sight of hundreds of hot air balloons in the sky at the same time is an amazing experience! The Fiesta also brings forth local culture and flavors from the First Nations tribes that have called the New Mexico area home for centuries. Live music also plays each night, chainsaw carving takes place on site, and a rodeo is held for further entertainment. If you’ve ever wanted to experience the culture of the Western U.S., this is the place! Watching the Macy’s Thanksgiving Day Parade on television is a tradition of many American families. Filled with massive balloons and colorful parade floats, the imagination of many a child has been inspired by this parade. 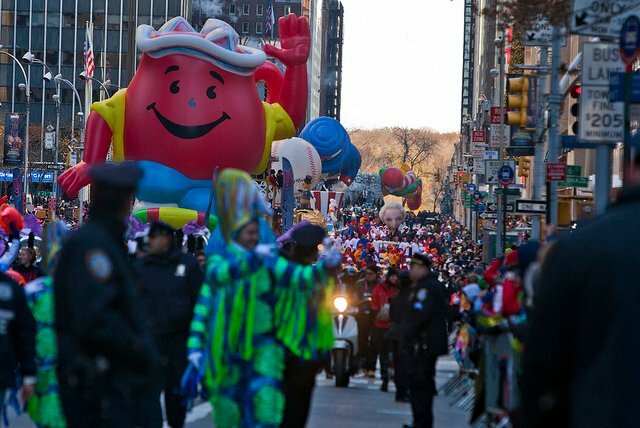 Supplemented with live music, marching bands, and some of the year’s hottest celebrities, several hundred thousand people also come out to watch this parade live. That’s what makes seeing this parade live and in person such a special event. As Americans give thanks for all that they have at the end of the year, social barriers are broken down for at least a few hours as everyone commemorates their gratefulness for family, friends, and their blessings. Don’t forget to tour Times Square and other New York landmarks like the Statue of Liberty while in town! These festivals are an important part of the many cultures that call this world home. Putting them on your bucket list to experience at least once is something that everyone should do! Choose one of these festivals today to experience this year and lock in your travel plans today! Nice collection. I’ve been drooling over Coachella’s line up for years!